Welcome to this, my 166th news bulletin. 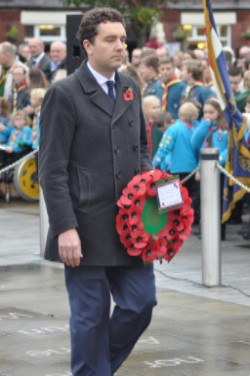 This Remembrance Sunday I once again joined the many military, civic, and charitable organisations laying wreaths in both Crewe and Nantwich. I want to thank the Royal British Legion for their work and also take the opportunity to explain what action the Government is taking to support armed forces veterans. We are committed to ensuring that those who serve in the armed forces and their families, regular or reserve, past and present, are treated with dignity and receive the care and support they deserve. That’s why I am pleased the Armed Forces Covenant is enshrined in law so that our forces families face no disadvantage in the provision of public and commercial services. Since the covenant was published in May 2011, ministers have made £17.5m available to ensure that Headley Court and nine specialist NHS facilities in England would be able to provide injured personnel and veterans with the most technologically advanced prosthetics available. The covenant will also help serving personnel and their families. The Government has twice doubled council tax relief – it now stands at nearly £600 per service person for a six-month deployment; introduced extra education funding of £300 per child for the children of service personnel; and set up and additional £3m per year to support state schools catering for significant numbers of children of service personnel, including children of reservists. The covenant will be supported in the future too. Ministers are continuing to promote the Community Covenant Scheme, with over 400 communities across the UK (some 99%) signing up. £30m has been assigned to the Community Covenant Grant scheme over the four financial years from 2011-12 to 2014-15. I was also pleased that the Government announced the covenant funding will be enduring, with a further £10m available per year from 2015-16, funded by banking fines. If you are a veteran and would like to access support services, contact my office for assistance. One of my team is also a veteran, and so anyone who has any related concerns can call in and be sure their case will be dealt with sensitively, based on experience. *Remembrance Sunday image by Peter Wigley, RBL Crewe Branch. Attended a special assembly at St Mary's RC School in Crewe, given by Google and Parent Zone, covering the importance of staying safe online and using the Internet responsibly. Spoken with Emma Cook and Peter Bounds from Relate Cheshire and Merseyside, to talk about the great services that the charity offers to support local people with relationships advice and counselling. Met with campaigners against the proposal to demolish the Red Lion Hotel in Nantwich. A huge number of local people have signed a petition against this planning application and I am delighted to be sending it to Cheshire East Council with my full backing. Visited Crewe Sea Cadets to inspect the guard and talk to the cadets who were in preparation for Remembrance Sunday. Supported NHS South Cheshire's 'Every Breath You Take' campaign, which visited a Crewe pharmacy this month with information and advice about lung health. Lung cancer is a particular problem in the Crewe area, and the message of the campaign is that it's vital to get checked out and get an early diagnosis. Held my regular constituency advice surgeries in Crewe and Nantwich. Cut the ribbon at the official opening of the fantastic new kitchen facilities at Shavington Youth Centre. Met with Anne Boyd and Duncan Setterington from Active Cheshire, about their plan to get us all to be more active, and to help encourage young people to be fitter and healthier. 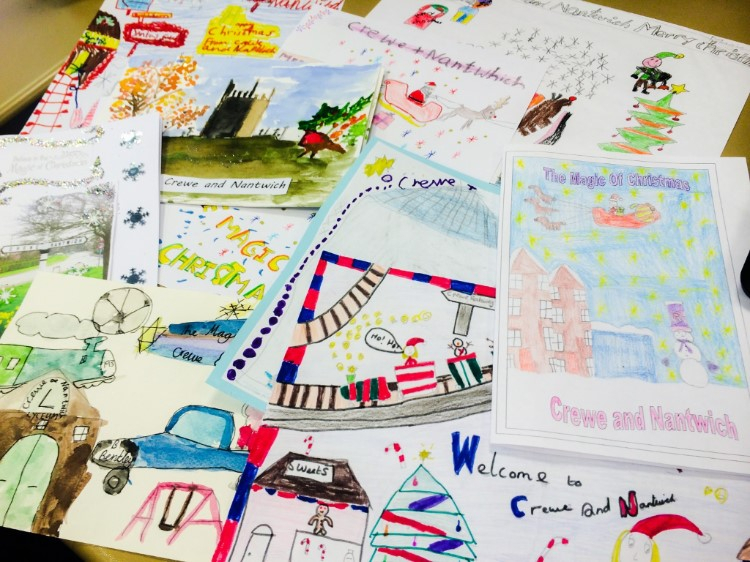 This year I have received a huge number of entries from residents both young and old, to appear on the front of my Christmas card that is sent to hundreds of people including the Prime Minister. I have found it impossible to pick a winner, so I'm asking for everyone's help to choose the winning design. The entries have been whittled down to a shortlist of 9, and the image which receives the most Facebook 'likes' before midnight on Wednesday, 18 November will be crowned the winner. I would like to thank all of the talented artists who have sent in their festive designs - good luck! 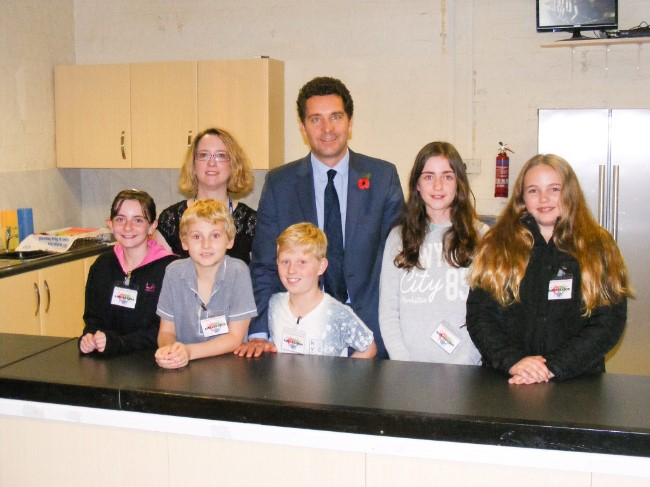 Photo: New kitchen opening at Shavington Youth Centre. Congratulations to the Youth Centre on securing the funding for the huge new kitchen area, which is a fantastic facility.